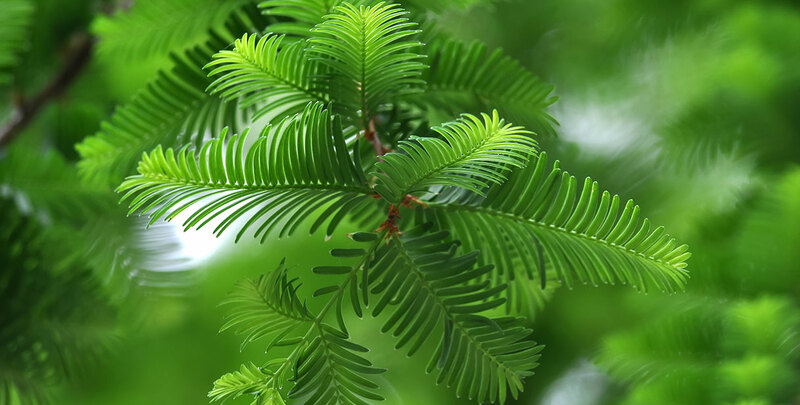 The dawn redwood, also known by its botanical name metasequoia glyptostroboides, is a rather exceptional hedging plant for many different reasons. It is an endangered species long thought to be entirely instinct, until it was discovered in an inaccessible mountain region in the Chinese county of Lichuan in the 1940s. We now know that this species still occurs in the wild in its native China. Upon discovery, the ancient species was soon recognised for its garden merits and introduced to Europe as a hedging conifer. As a specimen tree, dawn redwoods can reach a height of over 50 metres, which makes it one of the tallest tree species on the planet, though the Giant Sequoia, a close relative, can grow even taller. The dawn redwood is also exceptional in that it is in fact deciduous rather than evergreen, which is a truly rare feature for a conifer. This should not be considered a problem however, as the bright green, flat needles of the dawn redwood turn to a stunning orange-brown before falling off during the winter. In the summer, its green leaves are easily mistaken for those of the common yew. The metasequoia also has a handsome, reddish brown bark, which greatly distinguishes the species from other, similar conifers. As you can see, the fact that the dawn redwood sheds its needles is an asset rather than a disadvantage, as each season will highlight a different beautiful aspect of this species. In early spring, dawn redwood hedges produce small cones. 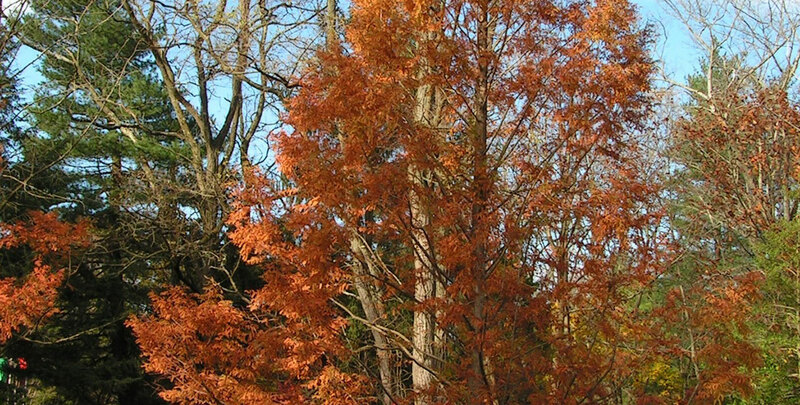 The dawn redwood is the only species of the metasequoia genus that is still alive to this day. 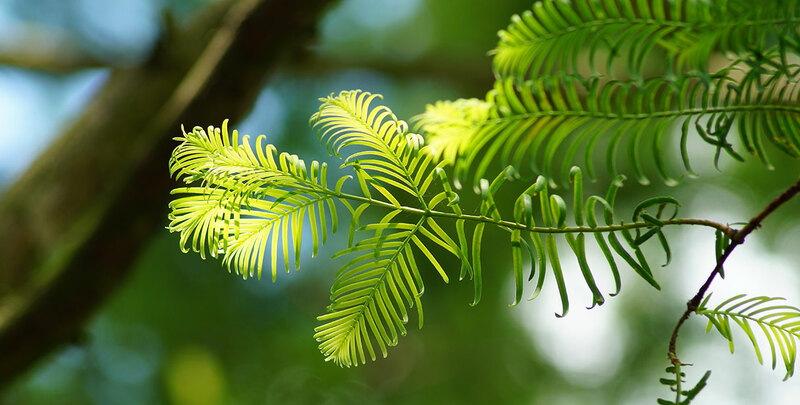 Before the species was rediscovered in the middle of the last century, none of the dawn redwood fossils that have been discovered were any younger than 1.5 million years old. Since the tree was discovered – alive and well – in Lichuan, it has become a highly popular tree for ornamental purposes. It can be seen in parks and gardens worldwide. The dawn redwood does not only grow very fast, but also very tall, which makes it an excellent solution if a sizeable tree is needed within a relatively small amount of time. Its fast growth also makes the dawn redwood an excellent plant for hedging purposes. In its native of China, the dawn redwood has proven its ability to reach a height of over 50 metres. Since it was not introduced into Europe, until fairly recently, the dawn redwood has yet to reach these dazzling heights in this part of the world. However, species exist in the UK that are well over 20 metres, with one specimen in Somerset is even reaching a height of over 30 metres. It is not an exaggeration to state that its ornamental value has given the dawn redwood a new life. It is truly amazing how this species has gone from almost entirely instinct to highly popular as a garden and hedging plant in a matter of only a few decades. Dawn redwood hedges are not a very familiar sight in the UK, but they have certainly earned their reputation as an excellent hedging conifer. However, dawn redwoods do have some requirements with regard to where they are planted. Even though they are tolerant of frost, dawn redwood hedges are better off in warmer climes than in colder areas, which means they are more likely to make an attractive hedge in southern parts of the UK than in the north. They are best planted in deep, loamy, moist soils, even on the waterside. In contrast to most other conifers, the dawn redwood can handle waterlogging perfectly well, but it also tolerates other soil types. Dry soils are harmful to redwoods, however, so make sure that they are kept moist. Other than that, dawn redwoods are very easy-going hedging plants. They will grow well in the full sun to partial shade, but they can even cope with full shade. They are fully hardy and in addition, they are also exceptionally tolerant of pollution. They are quick growers during their first years and average growers in later years, reaching up to 6 metres in ten years at an average of 60 centimetres per year. Due to their large growth habit, dawn redwoods are splendid hedging specimens for larger gardens or parks. The species is low maintenance and is easily kept satisfied with an annual pruning, preferably in May or June. Whenever you do, be sure to remove any dead or diseased branches you may stumble upon. 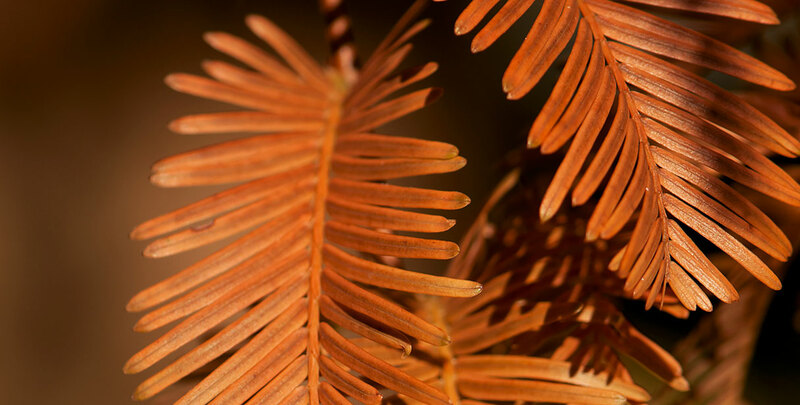 The resurrection of the dawn redwood is an amazing story in its own right, but we would not even have mentioned it on our website if the species was not such an exceptional hedging plant. During the first half of the last century, people could not even imagine this unique tree even being found alive. Therefore, no one could have predicted its current popularity as a hedging plant. Knowing what we know now, however, it only makes sense that the dawn redwood is favoured for hedging all over the world. It is a vigorous, hardy hedging plant which despite shedding its needles, looks amazing throughout the entire year and requires relatively little maintenance. The fact that the dawn redwood has been given a second chance also means that we now have the chance to discover the amazing hedging qualities and aesthetic value of the species. A dawn redwood hedge will certainly transform your garden into something truly unique.